Action ALERT: Vote YES on the OGO/OFCC/OC Amendment to HB228! HB228 may come to the House floor as early as this Wednesday during Lame Duck Session, and we need your immediate help to FIX it by amending it into a SOLID Stand-Your-Ground law! As currently written, House Bill 228 is weak and leaves gun owners EXPOSED if they’re ever forced to use a firearm to defend themselves or loved ones. That’s why Ohio Gun Owners has teamed up with Ohioans for Concealed Carry and Ohio Carry to bring forward an amendment that would FIX HB228 and make it a rock solid Stand-Your-Ground bill! In short, it would PROTECT law-abiding gun owners from frivolous lawsuits and beef up our self-defense statutes so that Ohio law backstops law-abiding gun owners instead of protecting violent criminals. 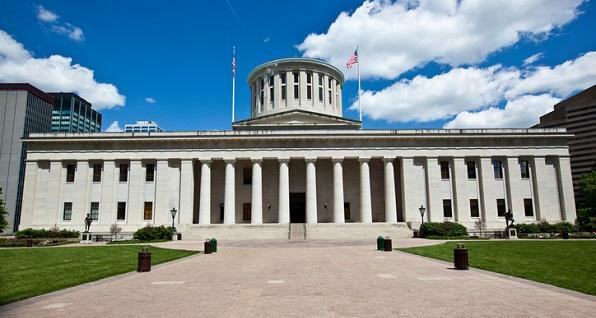 The amendment (read it HERE) will likely be offered by State Representative Nino Vitale, one of Ohio’s leading fighters for our gun rights and the only firearms instructor-legislator in the General Assembly! That’s why we are asking you to contact your State Representative and tell them to vote YES on the Vitale Amendment! With the elections behind us, gun-grabbers on the rampage and Lame Duck Session smack-dab on top of us, now is our time to make Ohio the 37th Stand-Your-Ground state! So please email, Tweet or call your Representative right away and tell them to vote YES on the Vitale Amendment to HB228! P.S. If you’d like to HELP, we need to mobilize more gun owners in northeast Ohio. Please click HERE to contribute whatever amount you can afford.